A passion for innovation and dynamics breeds riding pleasure. 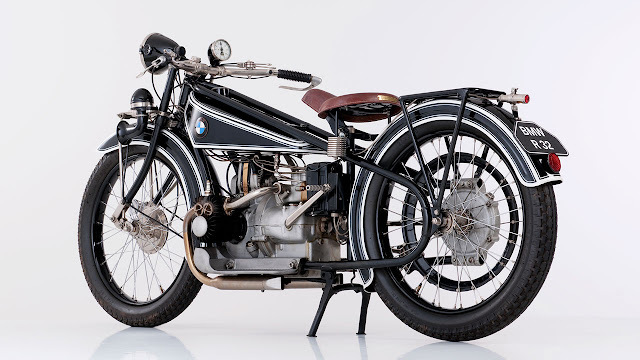 90 years of BMW Motorrad. 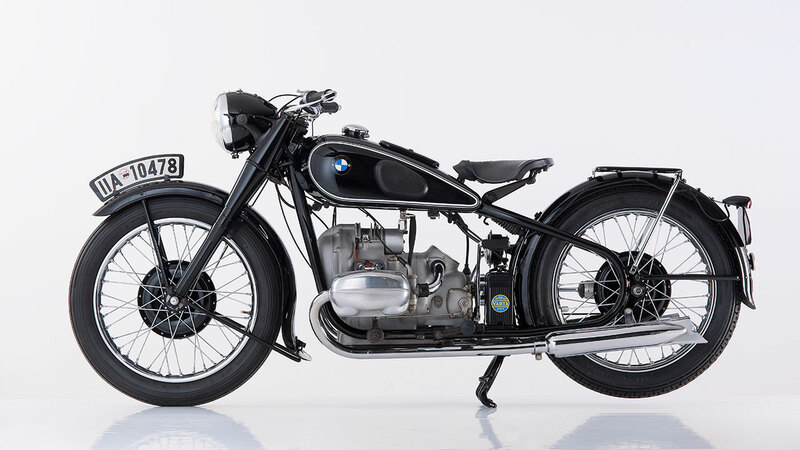 For nine decades the BMW brand has played a defining role in the development of personal mobility on two wheels. Over this time, a talent for innovation, success in motor sport competition, outstanding quality standards and distinctive design have earned BMW Motorrad the status it enjoys today. The founding fathers of this successful heritage are BMW motorcycles which demonstrated their functional efficiency and reliability – both in the sporting arena and the “real world” of day-to-day riding – to fulfil a basic need for independent travel. Over the decades, however, the pure pleasure of motorcycle riding has steadily grown in importance. Indeed, captivating technology and the experience of freedom continue to fuel the ever-increasing popularity of the BMW Motorrad brand around the world today. 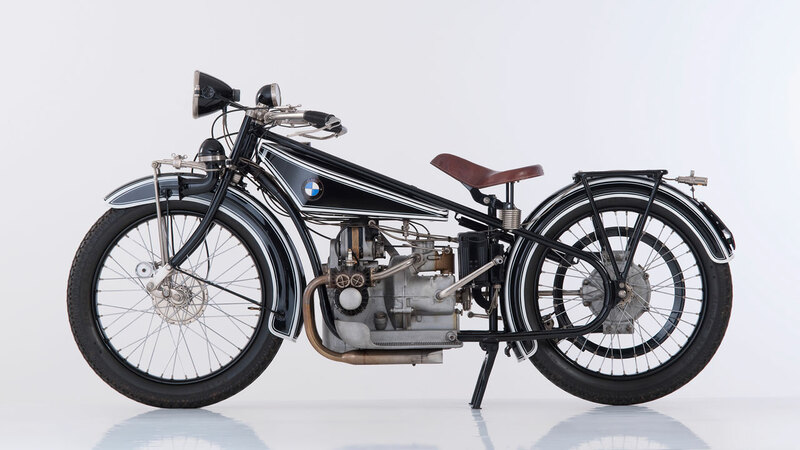 90 years on from the presentation of the first ever BMW motorcycle, fresh challenges have come to the fore, particularly where urban mobility is concerned. BMW Motorrad has focused its attention on a range of issues – the importance of reducing emissions and making more efficient use of traffic space among the most important – notably through concepts with all-electric drive systems (and therefore zero local emissions). These machines open a window into riding pleasure powered by sustainable drivetrain technology and provide another example of how BMW Motorrad has channelled its passion for innovation and dynamics into the service of personal mobility. 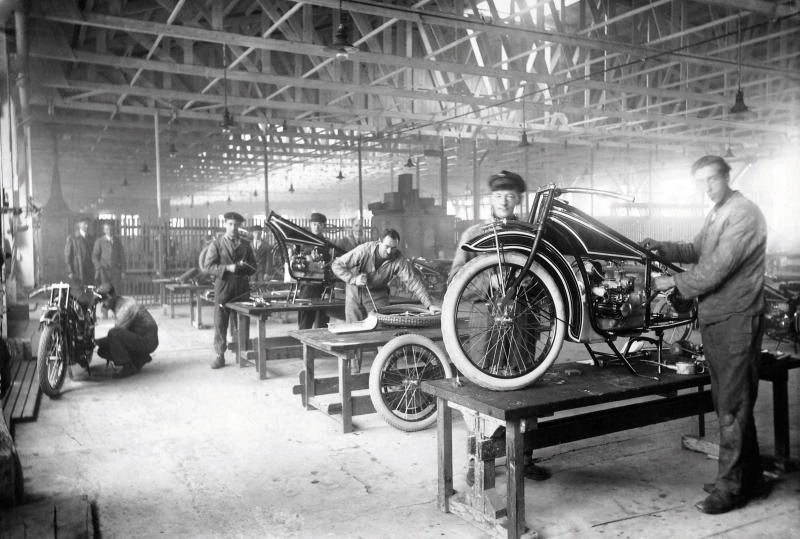 28 September 1923 marked not only the opening day of the Berlin Motor Show, but also the beginning of motorcycle construction at BMW – with the public unveiling of the BMW R 32. This was a motorcycle whose essential drive concept – an air-cooled twin-cylinder four-stroke boxer engine with cylinders mounted horizontally to the direction of travel, manual gearbox driven directly by a friction clutch and shaft drive – is applied to numerous BMW models to this day. BMW’s chief engineer Max Friz develops a boxer engine with two transverse-mounted cylinders. This principle of design proved to be an inspired response to the challenge of feeding both cylinders with an equal amount of cooling air. 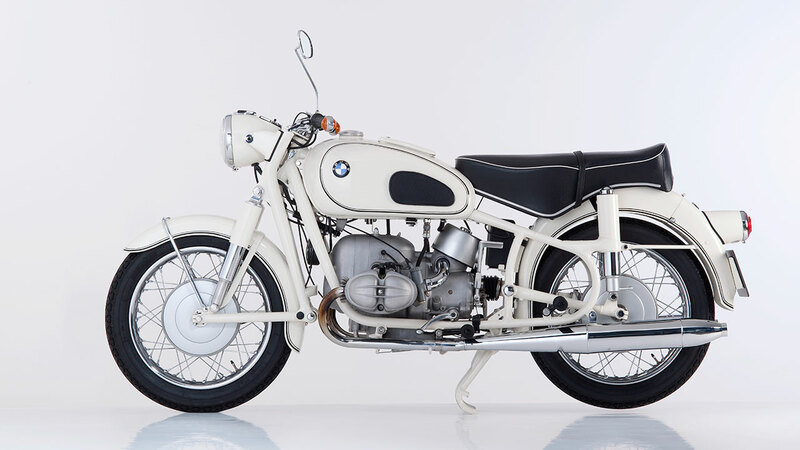 A feature of the brand’s first model (the BMW R 32), it became an identity-defining thread running through the history of BMW Motorrad engine technology. The aluminium cylinder head / overhead valve design – without parallel in the motorcycle world – doubles the power output of the BMW R 37. 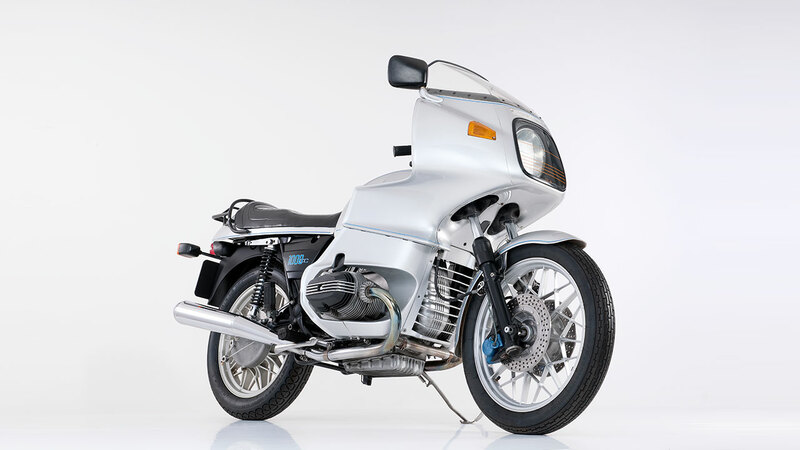 The first single-cylinder model, the BMW R 39, also features this technology. 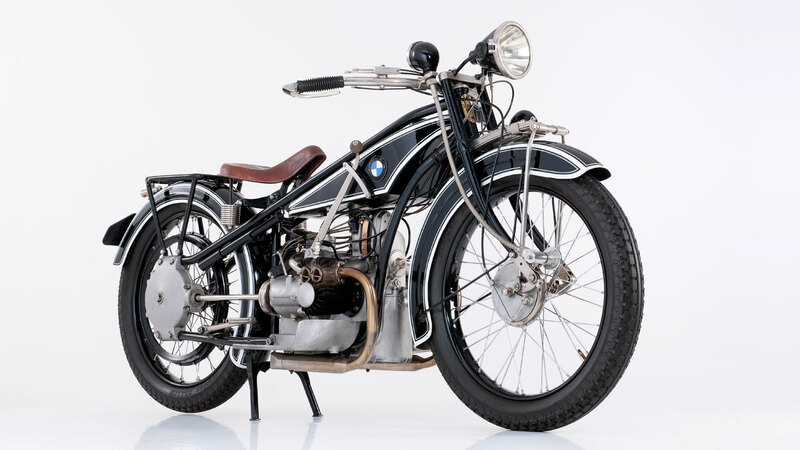 The soldered tubular frame is replaced by a pressed-steel construction, which gives the BMW R 12 and BMW R 17 a heavy appearance. 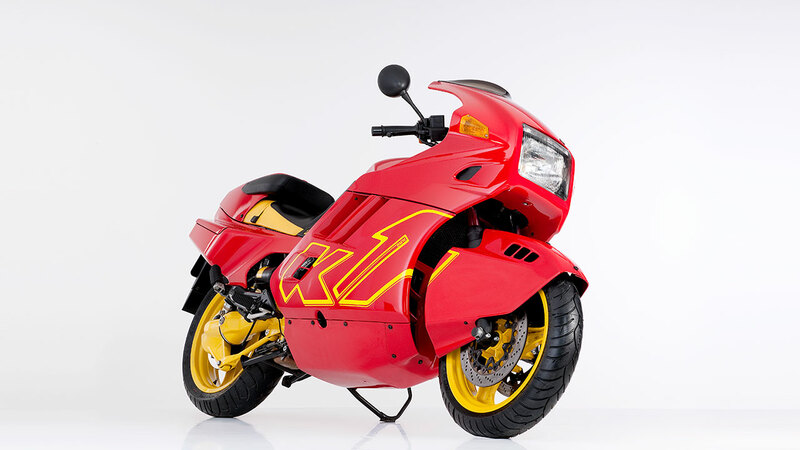 References to the “German school” of motorcycle design abound. The rear-wheel suspension system already employed successfully in off-road racing enters series production – and promptly takes traction and ride comfort to a new level. A new three-shaft transmission and a driveshaft with front universal joint take care of power transfer. The BMW R 69 S marks the changeover from a sprung saddle-type seat to a bench seat, which increases comfort levels significantly. 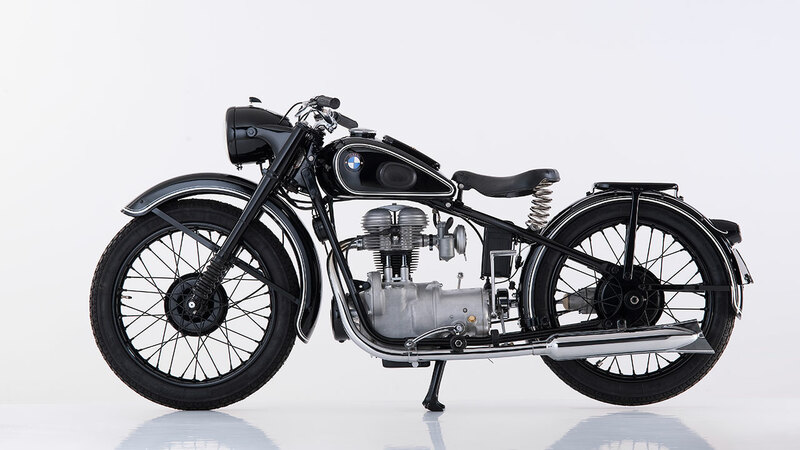 The BMW R 75/5 is equipped with constant-vacuum carburettors for improved response and refinement as well as an electric engine starter. The BMW R 90 – the world’s first volume-produced motorcycle with a handlebar-mounted fairing – is launched. 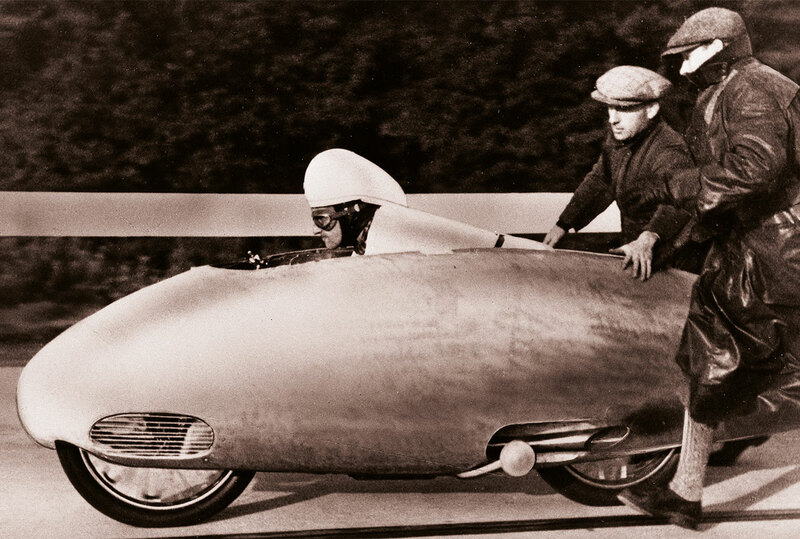 This represents a milestone in the history of aerodynamic development. The BMW R 80 G/S lays the foundations for the touring enduro segment and reveals the world’s first single swing-arm construction. BMW Motorrad presents the Paralever construction – a newly developed double-joint swing arm that eliminates unwanted drive forces on the rear suspension. Four-valve technology, DOHC cylinder heads and the world’s first digital engine electronics for motorcycles are introduced in the four-cylinder engine. The latest stage of boxer engine development introduces innovative details such as four-valve technology, manifold injection and a three-way catalytic converter. 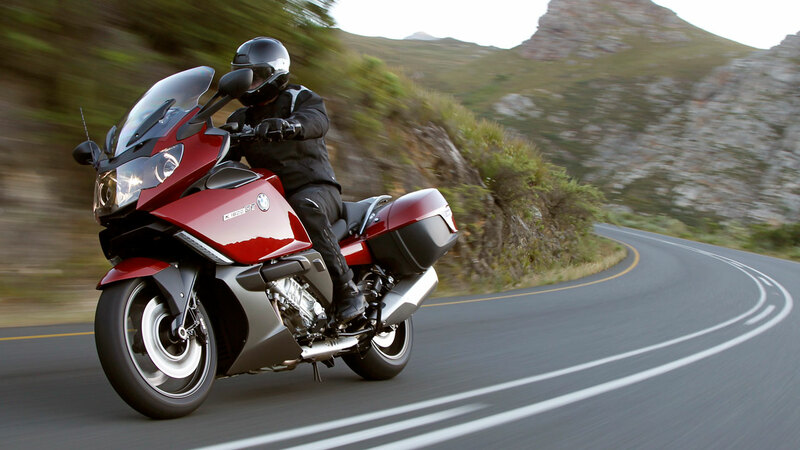 The successor to the four-cylinder engine introduced in 1988 makes its debut in the BMW K 1200 S. The new in-line unit is transversely mounted and the cylinders are inclined forwards by 55 degrees. Other highlights include new digital engine management and a dry sump lubrication system which is still unique in motorcycle design today. The BMW HP 2 Sport is the most powerful series-produced boxer model to date. With two overhead camshafts per cylinder, the engine generates maximum output of 98 kW/133 hp. The BMW K 1600 GT and BMW K 1600 GTL tourer models offer two world firsts: the multi-controller for intuitive operation of the onboard monitor and the Adaptive Headlight system. The brand’s first super-sports motorcycle, the BMW S 1000 RR, is fitted with a short-stroke four-cylinder engine which develops 142 kW/193 hp, can spin to 14,200 rpm, and has titanium valves, variable intake manifolds and adjustable interference pipe valves in the exhaust system. Also new are the button-controlled Race ABS and DTC (Dynamic Traction Control) systems. The latest generation of BMW’s boxer engine is presented – still with air/liquid cooling, but the liquid is now a glycol/water mixture which, for the first time, flows vertically through the cylinder heads. The BMW HP 4 is now equipped with super-exclusive Launch Control. This function helps to convert the engine’s power into forward propulsion to maximum effect when accelerating from a standing start.